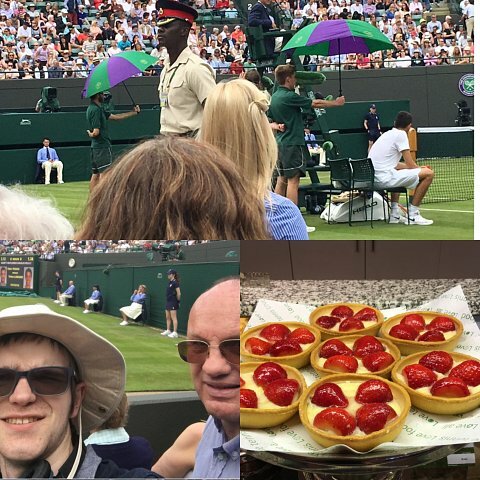 Our applicant Robert had a great day at Wimbledon and couldn’t wait to tell our ambassador Colin all about it. Thank you Colin. that was a pretty awesome day! Even though it rained later in the day. We saw most of the Stan Warinka match and the all the start of the Konta game. She was playing really well so shame the rain came when it did! Thanks to you aswell, before we went to court 1 we went to the British tennis membership area where we had lunch. I hot lasagne with some garlic bread, so that was even right up my street. Even the journey to Wimbledon went well with the Dartford crossing’s newish system went better than I’ve ever experienced! Awesome day! Your the best!